Mungalli Creek Dairy would like to alert their Cairns and Townsville customers that the item below has been recalled. Please do not consume and return the product to your place of purchase for a full refund. We have already retrieved 95% of stock prior to sale and are asking for your assistance in retrieving the remaining 5% of stock. What to do: Any consumers concerned about their health should seek medical advice. Customers should return the product to the place of purchase for a full cash refund. 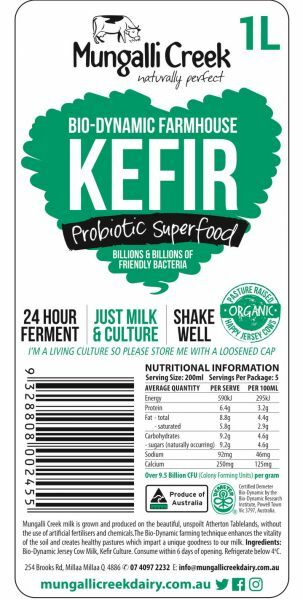 No other products are affected and this is the only batch of Kefir affected. All new batches will have additional testing to ensure product integrity. We thank you for your assistance and apologise for any inconvenience.